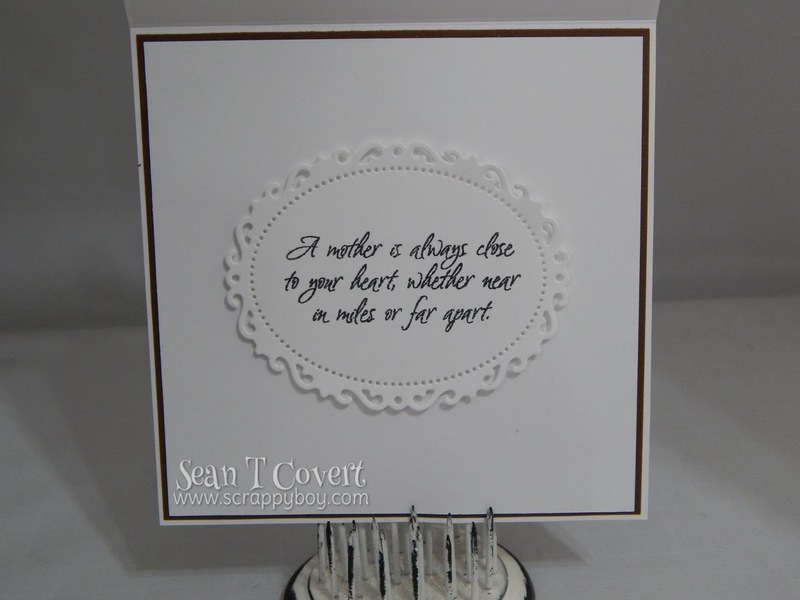 Scrappy Boy: A Mother's Day Card! Hello and welcome back fellow crafters!! 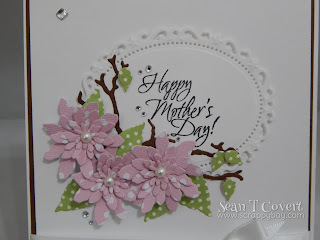 I wanted to share the card I did for my mom and my husbands mom. 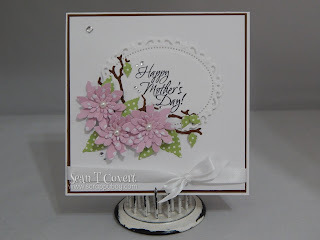 I saw this card on Pinterest from a blog called Debby 4000 and had to replicate it! It's soo elegant, clean and beautiful! It was a huge hit with the moms! The great part is, I already had all the tools to make it!! That almost NEVER happens!! I always have to buy the supplies!! 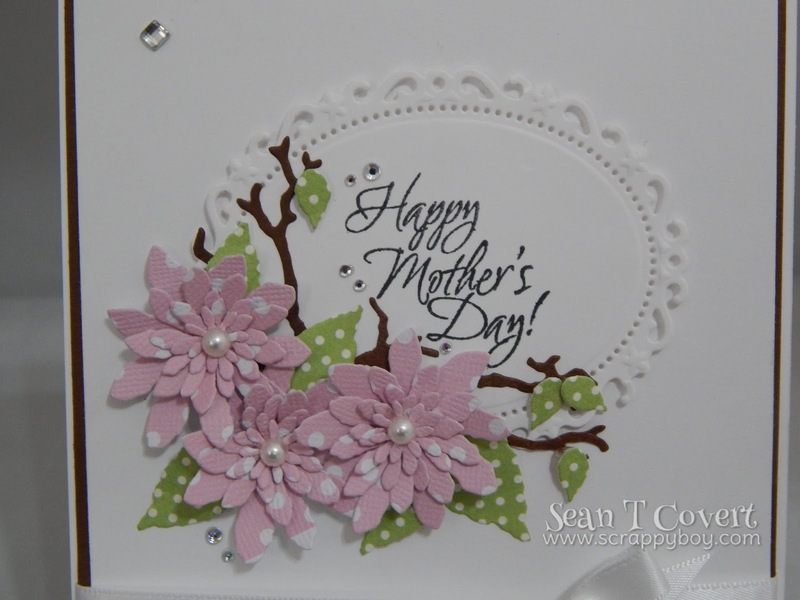 The flower dies, leaves and branch are all Tim Holtz Small Tattered Florals. 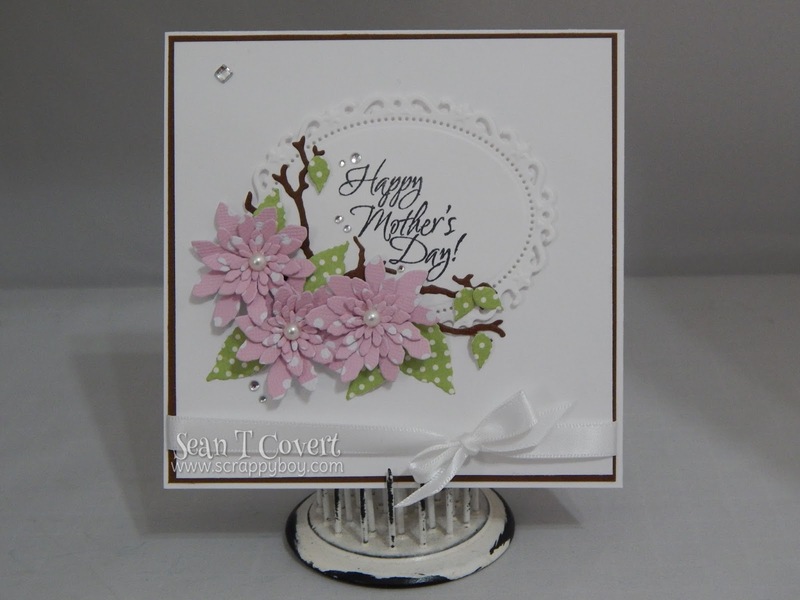 The oval die is the Spellbinders Floral Oval. Hope you enjoy!!! I made one with blue flowers to for my sister but forgot to photograph that one. 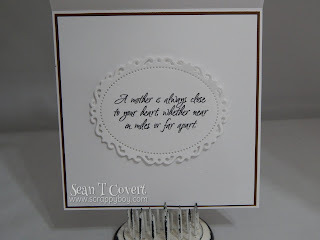 You'll Be In My Heart Card!